Resources for locating information on the history of Cattaraugus County. If you have a research question then please contact the Cattaraugus County Museum & Research Center. 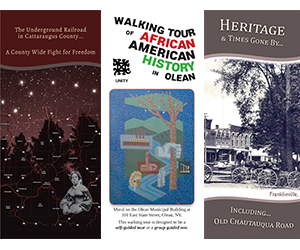 Request one of our History Brochures! We are always gathering more information to share on this website.